I walk a difficult tightrope on this blog. I want to be as authentic as humanly possible, but I’m also a professor-in-training; I don’t want to put anything out into the world that I would have trouble explaining to a hiring committee, to my colleagues, or to my students. So I often find myself debating the merits of a post. The problem with this particular brand of censorship is that it’s entirely too fuzzy. That’s because I haven’t articulated to myself what constitutes fair game. Just now I found myself sitting in front of my computer for a good ten minutes, contemplating the merits of writing a deeply personal post. While this kind of introspection is a good thing generally, SMDS is first and foremost a personal blog. My logic is simple: teaching difficult material is often the best way to learn that material. I blog about becoming the best scholar and person one possibly can because it’s something I want for myself, something that requires daily work and a willingness to open oneself up to new possibilities. That’s why—after much hemming and hawing—I’ve decided to talk about what’s happening tomorrow. It’s a routine procedure, but as with most medical procedures, there’s nothing routine about it for me, the patient. Tomorrow I am going to go to an imaging center, where a complete stranger is going to jab a very large needle into my hip, large enough that it needs to be guided by an X-ray. She or he will then inject contrast fluid into said hip, which—in addition to making abnormalities in the tissue easier to see—will actually push the ball and socket further apart. This is good for imaging purposes, but it feels pretty darned uncomfortable. Imagine a basketball getting filled with air… in your groin. It feels about as odd as that simile reads. Since the giant needle’s is already positioned, and my mobility has been been seriously compromised by pain over the past few months, my surgeon’s decided that the dye injected into my leg should be followed by a cortisone chaser. He hasn’t diagnosed me yet (he needs to gaze deep into my basketball groin to do that) so we don’t know that cortisone will actually make a difference. It’s worth a shot. It also means, however, that by the time I waddle into the room with the MRI, I’ll be a human water balloon. That, friends, is all considered “prep.” But take it from me, after that kind of prep, an MRI is decidedly anti-climactic. A claustrophobic metal tube that yells it’s strange language at you for an hour? Yawn. I was seventeen the first time I had an MRI Arthrogram. I cried after the doctors injected the contrast not because I was in pain (which I was) but because I felt violated. Not only had my personal space been invaded in a pretty epic way, with an equally epic needle, but in a matter of a minute or so I experienced a new and foreign kind of pain, in a part of my body where pain had never before existed. I’ve had two MRAs in my life, and as best I can tell, that extreme sense of dislocation from one’s own body is something that one only experiences once in their life. After that, your relationship with your body changes. I can’t quite articulate how it changes, but it does. Tonight, I’m scared. It’s a very routine procedure, I’ve been through much worse, and I’ll be completely fine once I’m on the table, but tonight, I’m scared. I know exactly what’s going to happen to me, and I know that, in a couple of days, the chances are good I’ll feel a little better. But—because I know exactly what’s going to happen to me—I also know that it’s going to feel worse before it feels better. My hip hurts more today than it has in weeks; I can almost feel the basketball inflating. 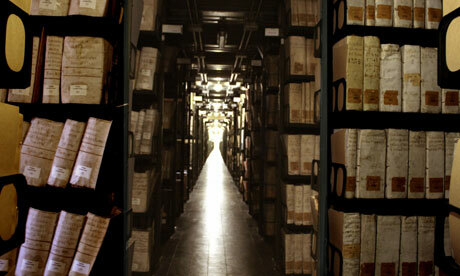 I’ve long suggested, as have others, that the body is an archive that historians can, and should, read. This is not a unique opinion. In moments like this, though, I realize the body’s archival potential anew. Certainly part of the fear I’m experiencing comes from anticipating pain, from knowing all the ways the procedure could potentially go wrong, and from the fact that ahead of me lies a diagnosis and treatment plan that, for once, I can’t discern ahead of time. While I can’t conquer those fears, I can suppress them, because my rational self is aware that nothing that happens to me now will be as difficult or as painful as the surgeries I’ve already endured. What I can’t do is close the archive. I became an historian of patient advocacy because it was the best and most fulfilling way to instrumentalize difficult memories, to use them as tools to better our understanding of the human condition. Pain is not so easily harnessed. Narcotic medication is no match for the narrative unfurling inside of me at this moment. Tonight, I have no choice but to bear witness to sensations I filed away years and years ago, hoping never to revisit again. For these few short hours, my archive gets to speak. I am an historian, and so—to the best of my ability—I’m listening. I’m sorry you have to go through this. I will be praying for you. I hope all your pains will go away soon. Good posting, especially on the apprehensions and the deep deliberation that went on for it. For the procedure, all I can think of is ‘ouch!’ I am so very, very hyper-imaginative about so many things that I can visualize what you are going through. I hope the procedure went well (I noted the date was Aug 28th at the top of this page). If it is upcoming, good luck is being sent your way. Also, good luck on your Ph.D. candidacy. Thank you for this post – I found it paticularly important as a student nurse to try and get a picture of how someone might feel in this situation. I hope the procedure went well and that you are on the way to peace of mind and some relief. What a powerful soliloquy, you hit the proverbial nail on the head in saying “What I can’t do is close the archive” I often muse over having that “ability” but I often come face to face with reality that this is where and how I procure my lesson(s). Your bravery is eloquence. I have to requote you, because this piece resonated so much: “that extreme sense of dislocation from one’s own body is something that one only experiences once in their life. After that, your relationship with your body changes. I can’t quite articulate how it changes, but it does.” YES. I recently wrote a piece about how we also hold the pain of others in our own bodies: http://aelefton.wordpress.com/2014/10/14/holding-the-pain-reviving-the-body/ Thank you for writing so honestly about pain and the body…. Awesome entry; having experienced similar procedures and chronic pain myself it is nice to read those sensations in eloquent prose. I admire your ornate articulation. I understand we all have our physical and emotional limits that we can only endure. Pain ceases. Shall your will? Thank you for sharing this. You have given me food for thought. Feel better!